Olly Murs, the cheeky Essex lad that came runner-up on the X Factor a couple of years ago, has announced details of what will be his first full UK and Ireland arena tour. The tour will take place in February 2012 and will visit a total of 15 arenas across the UK and Ireland. 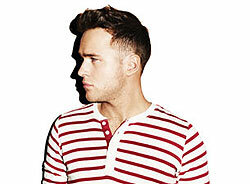 Olly's 2012 tour will begin with a show at Cardiff Motorpoint Arena on the 1st February. The tour will then continue with further shows planned for: O2 Arena (4th), Brighton Centre (7th), Birmingham LG Arena (10th), Wembley Arena (11th), Sheffield Motorpoint Arena (12th), Nottingham Arena (13th), Bournemouth BIC (15th), Manchester MEN Arena (18th), Liverpool Echo Arena (19th), Aberdeen AECC (21st), Newcastle Arena (24th), Glasgow SECC (25th), Belfast Odyssey Arena (28th) and Dublin O2 (29th). Olly has today released Heart Skips a Beat, which is the first single to be taken from his as-yet-untitled second album. The single features a collaboration with Brighton-based hip hop duo Rizzle Kicks. Olly's second album is due to be released in late November. Tickets to see Olly Murs during his UK & Ireland tour will go on general sale at 9am on Friday 26th August.